It was recently announced in the news that the Mayo Clinic, based in Rochester Minnesota, will no longer offer health care to Medicaid patients from Nebraska and Montana. However, the world famous private hospital will continue to see Medicaid patients from Minnesota and neighboring states. In Glendale Arizona, where Mayo Clinic has a branch hospital, that hospital will cease to see Medicaid patients due to lower reimbursements. All of these developments are startling given that the Congress is currently struggling with passing health care reform which could likely include a public plan which may have similar reimbursement rates for hospitals. Normally, hospitals like Mayo, which have a great diversity of patients, are able to treat many patients who only have Medicaid or Medicare as their patients with private insurance in a way help to subsidize the care of indigent patients. Mayo Clinic had been held up as a model for healthcare reform as the hospital was able, through supposedly more efficient care, to spend less per Medicare patient that many other hospitals. 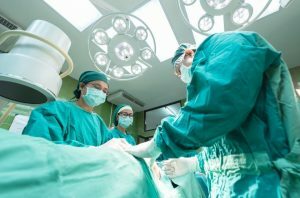 Some policy makers had toyed with rewarding hospitals that spent less on Medicare patients as way of stemming the tide of health care costs. 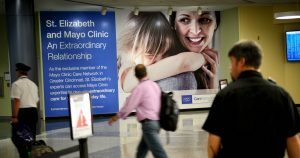 However, Mayo Clinic has been to able to run its hospitals, and provide services to some Medicare and Medicaid patients, in large part because of its world renown reputation and practice of charging high rates to wealthier patients. Often one hears of the king of small country flying out to the Mayo Clinic to have a medical procedure or test performed. No doubt that the high medical bill associated with such concierge medicine has helped Mayo to do a great deal of charity work. Startling also is the fact that only 5 percent of Mayo’s patients are on Medicaid. Only around 50 patients at Mayo on Medicaid are from Nebraska or Montana. Mayo, nonetheless, will try to send these patients to other hospitals in Rochester, many of which see a much higher proportion of patients on Medicaid. While the care of these patients is likely much less than one percent of Mayo’s annual budget, the hospital is making a huge political statement by cutting these patients due to insufficient reimbursements from Medicare and Medicaid. Mayo’s action may lead to a watershed of other hospitals nationwide limiting the number of Medicare and Medicaid patients that they see. Even perhaps more disturbingly, in Scottsdale Arizona, the Mayo clinic there has turned away Medicare patients from seeking primary care, but will accept such patients for more advanced, i.e. expensive care, when they need it. The Scottsdale Mayo people say that this is because their hospital focuses on specialized care, and not primary care. More likely this is a cost saving measure meant to protest decreased Medicaid and Medicare payments. Doctors nationwide have noted that the United States needs to do better in the primary care of its citizens. Indeed, being a good doctor means taking the time to make sure that your patients are healthy, and stay healthy and out of the hospital. By refusing to see Medicare patients for primary care, but will see such patients for expensive specialized care when they become sick, Mayo is in essence running their hospital merely as a business, without care for the population of patients that they serve. Worse yet, it could be argued that Mayo realizes that denying primary care to Medicare patients may mean that they will more likely develop chronic conditions such as diabetes, heart failure, and even cancer due to poor nutrition and untreated health conditions such that Mayo may have more very sick Medicare patients in the future which would benefit them financially. 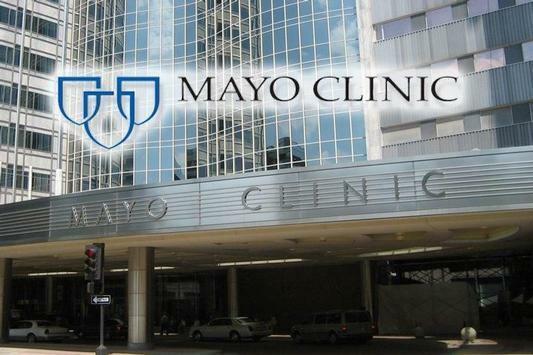 While it is sometimes said that doctors strive to “put themselves out of business” by helping people to become well and healthier, Mayo Clinic may actually be making the population that they serve much sicker. However, Mayo executives may feel that the population that they really serve are stockholders and highly paid executives at their hospitals. Mayo may also feel that they are somehow being cheated by the government by providing care to Medicare and Medicaid patients that is not completely covered by the government. Whatever the reason, this does not bode well for the future of Medicare and Medicaid patients.